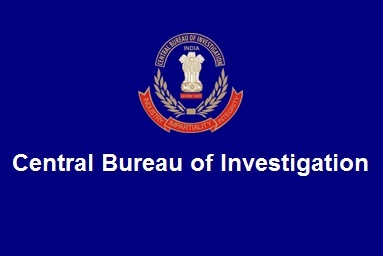 New Delhi : The Central Bureau of Investigation (CBI) has brought a case to closure regarding money laundering of twenty lakhs of Indian rupees which involved the then Executive Director of State Trading Corporation. The Special Judge for CBI Cases, Dhanbad (Jharkhand) convicted R. Kupuswamy, then Executive Director (Marketing) of State Trading Corporation, New Delhi and sentenced him to undergo three years Rigorous Imprisonment with fine of Rs.7 lakh. Court also imposed a fine of Rs.50,00,000/- to M/s Maithan Ceramic Pvt. Ltd. through its Director. Both were alleged to have worked in conspiracy (case under section 120-B, 420, 468 of IPC and Section 5(2) , 5(i)(d) of POCA). The complain lodged stated that these persons had induced authorities of Hindustan Copper Ltd.which was the producer of Kinite, to reduce the price of Kinite Grade-I from Rs. 1000 to Rs. 600 per MT on the basis of misleading data, thus benefitting the accused parties in fraud and corrupt practices.